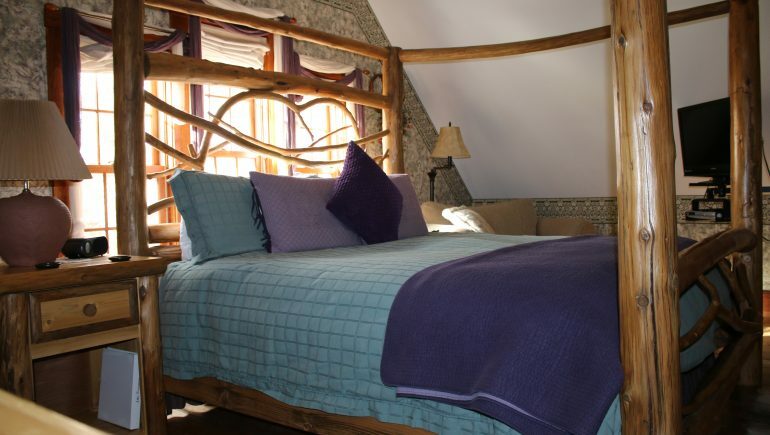 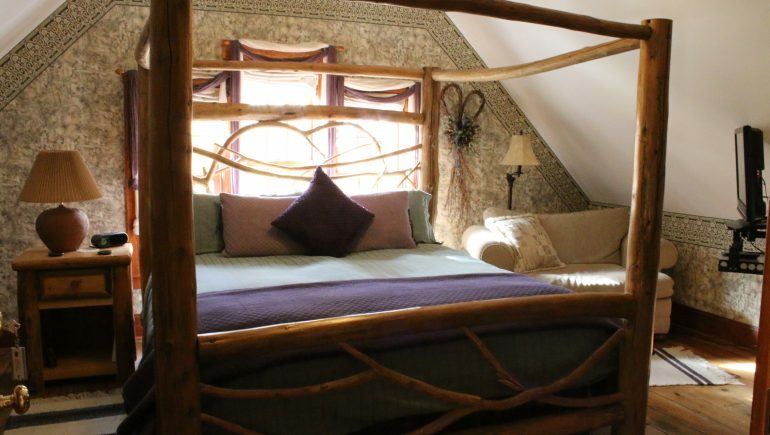 Attic Treasures is our premier suite featuring hand-crafted cedar log bedroom furniture. 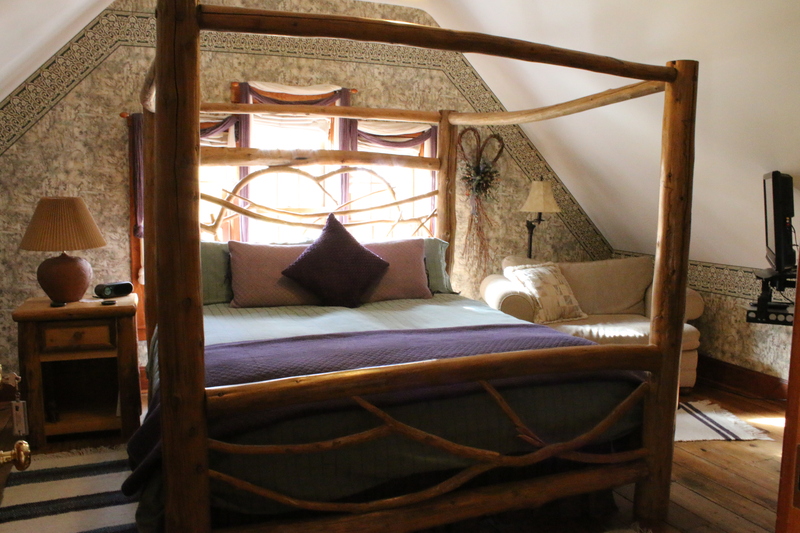 With it’s king-sized bed wrapped in luxurious sheets and down comforters, it offers a warm and cozy environment for rest and relaxation. 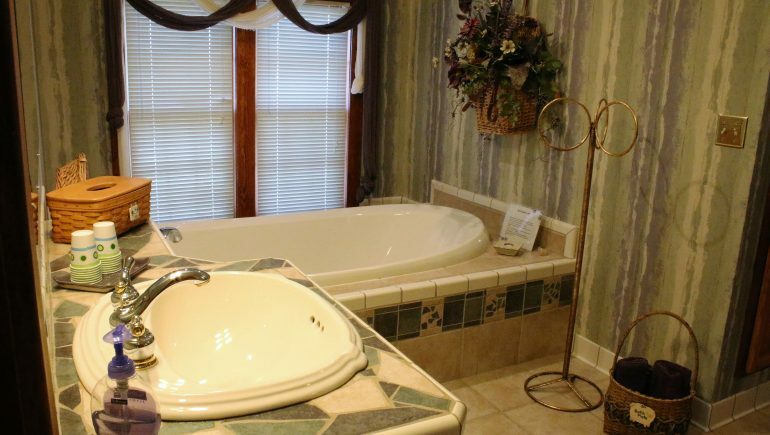 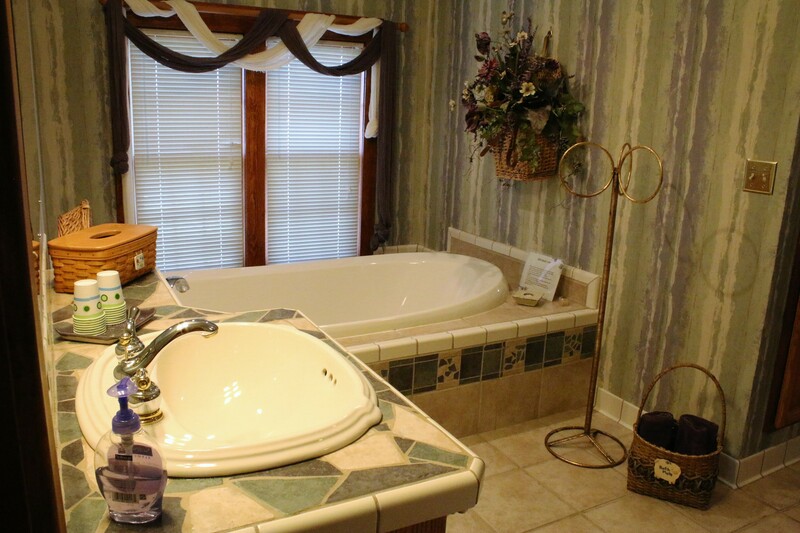 Attic Treasures has a large private bath with soaking tub and shower, many towels and a pair of bathrobes for our guests to use during their stay. 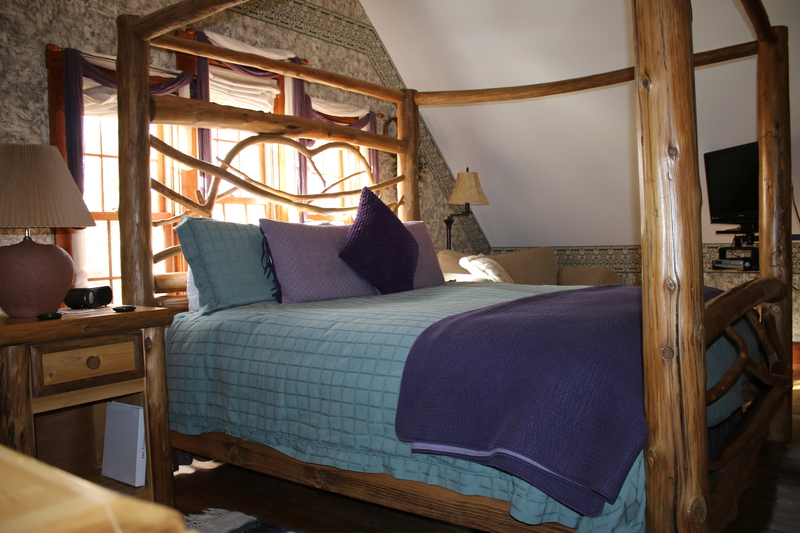 This large suite has a pull-out, twin sized sofa suitable for a child or small adult and we also offer a portable crib for families with infants. 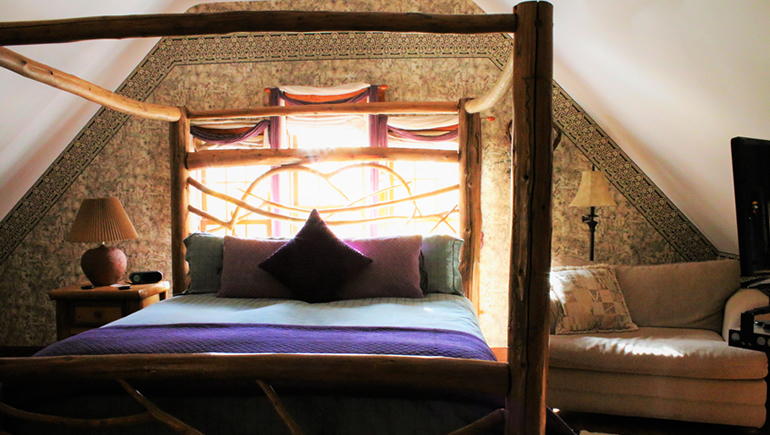 A large TV/DVD player and a small table with two chairs round out the amenities our luxury suite has to offer.